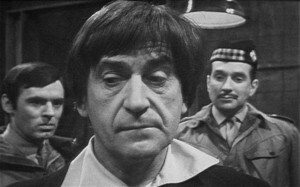 Counting down the 11 2 days to the 50th anniversary, here are my top 11 stories for each Doctor, continuing with 2 (Patrick Troughton). 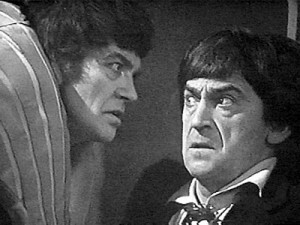 As experiments go, the idea of regeneration worked out pretty well thanks to Patrick Troughton. Not only did he take over a much-beloved character from the only name anyone would have associated with it, but he made the character completely his own. 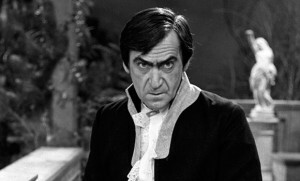 Troughton has been cited by almost every other actor to take on the role as their model for the Doctor. Unfortunately, a good chunk of his episodes are lost due to the policy of re-using tapes or simply destroying film after broadcast (no such thing as re-runs then). So, I’m only able to see and rank the eleven remaining stories. The Time Lords are an immensely civilised race. We can control our own environment – we can live forever, barring accidents and we have the secret of space/time travel. The Doctor, Jamie, and Zoe land in the middle of a World War I battlefield and taken for German spies. Soon, however, they find that by passing through a strange fog, they are transported to the time of the Romans and also the American Civil War. A renegade Time Lord, the War Chief, is kidnapping soldiers and placing them, like chess pieces, in various zones to fight and die over and over. This prompts the Doctor to call upon his brother Time Lords for the first time since he ran away. This is the end of the 2nd Doctor’s run, where we say goodbye not only to Patrick Troughton and Jamie and Zoe but also to black-and-white, as Jon Pertwee’s series will begin in full color. The Doctor: A bit short? Oh, I shouldn’t worry about that. Look at Jamie’s. 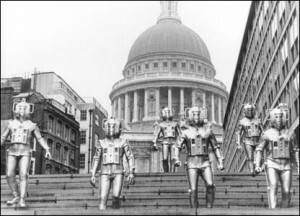 The Doctor, Jamie, and Victoria arrive on the planet Telos to discover an archaeological team trying to blast open the doors to the lost tomb of the Cybermen. Need I say more? The Doctor, Jamie, and Zoe investigate the disappearance of a scientist, and the trail leads to London and the headquarters of International Electromatics, run by Tobias Vaughn. 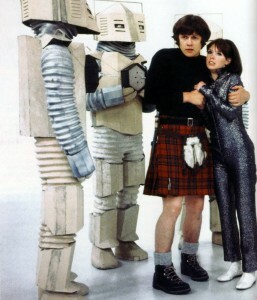 It turns out that Vaughn plans to aid the invasion of the Cybermen in exchange for promised power. With the help of the newly formed United Nations Intelligence Task Force (UNIT) and Brigadier Lethbridge-Stewart, the Doctor and friends must defeat an army of Cybermen and their incoming battle fleet. 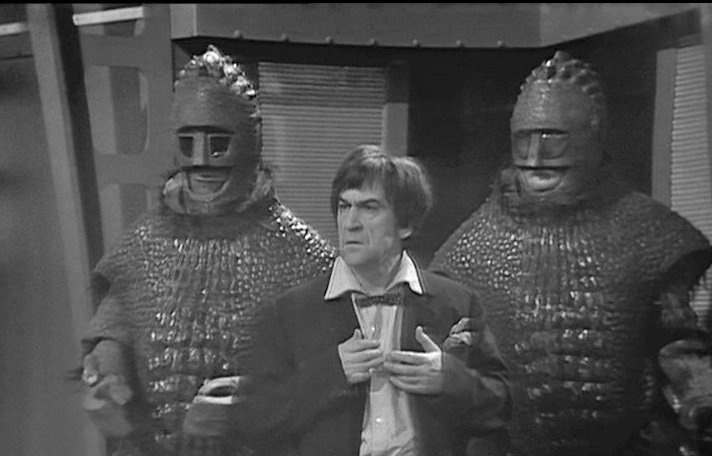 Dr. Who: For the moment, we have eluded our captor. Look at the scanner, both of you. Victoria: Well, where are we? Dr. Who: I really don’t know, Victoria. Shall we go out and have a look. Victoria: Now? Is it safe? Dr. Who: [mischievously and airily] Oh, I shouldn’t think so for a moment! Jamie… I think we’re going to need torches. The Great Intelligence returns, as Professor Travers (whom the Doctor met 30 years earlier in the Himalayas) has re-activated one of the Yeti robots, and now they are attacking through the London subway system. The Doctor and his companions join with the army and Colonel Lethbridge-Stewart to repel the invasion. We’re nowhere. It’s as simple as that. As the TARDIS is buried in lava, the Doctor attempts a desperate maneuver that takes them completely out of time and space. In an empty, white void, Jamie and Zoe are menaced by robots. As they try to flee back to the safety of the ship, it explodes, leaving Zoe clinging to the TARDIS console. When they revive, they find themselves in the Land of Fiction, presided over one who calls himself the Master (not that Master) who turns out to be a writer from 1926 and whose brain is being controlled by the Master Brain computer. 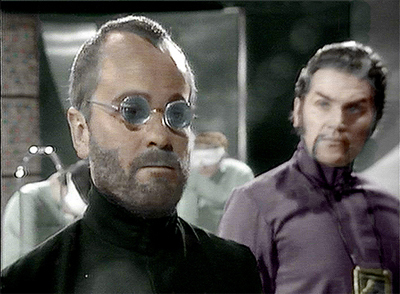 The Master desperately wants to force the Doctor to take his place, and the crew encounter various fictional characters, including Rapunzel, Gulliver, and a uniorn. The Doctor: It sounds like electronic machinery. Like a computer. But there’s something wrong with its pitch. Victoria: Oh, no. Now look, it might be dangerous. Now let’s leave it. The Doctor: [Smiles mischievously] Let’s go in! The TARDIS lands on Earth in the future as glaciers caused by mankind’s destruction of all plant life threaten to engulf the planet. Scientists excavating a nearby ice formation discover a creature in the ice, which turns out to be a Martian warrior. When he is thawed, they discover that he is part of a crashed ship, and he kidnaps Victoria in order to force the Doctor and the scientists to help him free his crew. Once that is done, the Ice Warriors determine to take over the planet for themselves. Your leader will be angry if you kill me… I’m a genius! The TARDIS lands in late 21st century museum filled with remnants of spaceflight. 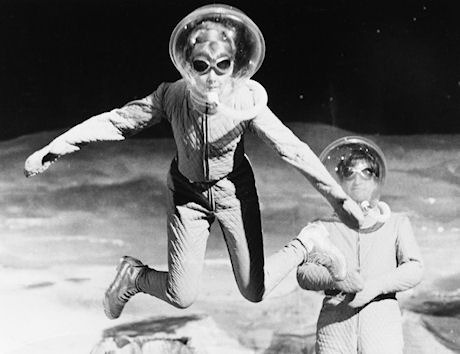 Since the invention of the T-mat, which offers instant travel between points on Earth and the Moon, people have lost interest in space travel. After the Doctor, Jamie, and Zoe travel to the Moonbase, they discover that a squad of Ice Warriors has taken over and plan on using the T-mat network to launch an invasion of Earth by transporting deadly spores all around the planet, which will kill humans and block out the sun, producing a new ice age. People spend all their time making nice things and then other people come along and break them! In 2018, a powerful man, known as Salamander, is being hailed as the “shopkeeper of the world” for his ability to relieve famine and predict natural disasters. It turns out that Salamander’s enemies keep disappearing, and there is a rebellion forming against him. When the TARDIS lands, the Doctor is captured by the rebels because he looks exactly like Salamander. They ask for his help to take down the would-be dictator. 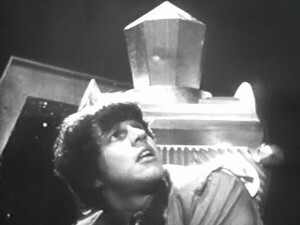 The TARDIS arrives on the Moon in the year 2070 where a small weather station is fighting off a plague. 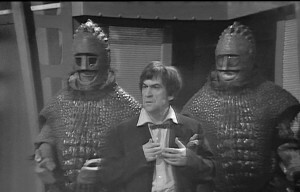 Jamie falls sick and is rendered unconscious, leaving the Doctor, Ben, and Polly to fight off what really is a toxin delivered by the Cybermen. The TARDIS lands on the planet of the Gonds, where centuries before a Kroton ship crash landed. The Krotons lay dormant in a crystalline slurry, but use their mental powers to dominate the Gonds. When needed, they take the two brightest Gond students as “companions” (unwittingly being drained of their mental energy to feed the Krotons). 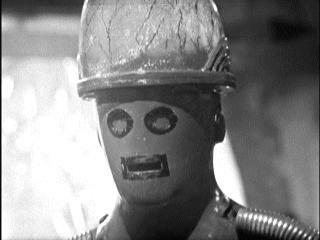 When the Doctor and Zoe take the student test, their mental powers are strong enough to re-animate the Krotons. An unintelligent enemy is far less dangerous than an intelligent one, Jamie. Just act stupid. Do you think you can manage that? When two rogue Dominators and their robotic servant Quarks land on the peaceful planet Dulkis, planning to drop a radioactive seed into the planet’s core to refuel their spaceship, the Doctor, Jamie, and Zoe must attempt to inspire the pacifist Dulcians to resist.